On sunday I managed to escape with 2 small glass espresso cups and a fine thread microplane but while I was in there I spotted this. 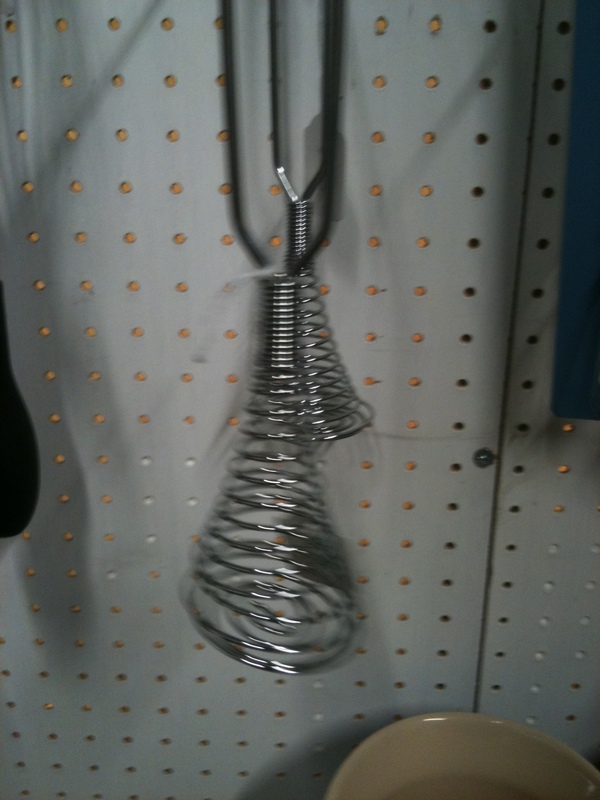 It was amongst the whisks and mixers but I have not a clue as to what it is. It appears to work like a spring as you can press the flat bottom bit down and it springs up again but no, no idea why you would need that. Any clues? 12 January 2011 in Uncategorized.